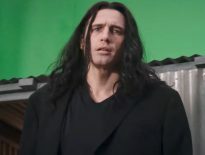 Principal Cast : Brooklynn Prince, Bria Vinaite, Willem Dafoe, Valeria Cotto, Mela Murder, Christopher Rivera, Sandy Kane, Aiden Malick, Caleb Landry Jones, Macon Blair. Synopsis: Set over one summer, the film follows precocious six-year-old Moonee as she courts mischief and adventure with her ragtag playmates and bonds with her rebellious but caring mother, all while living in the shadows of Disney World. 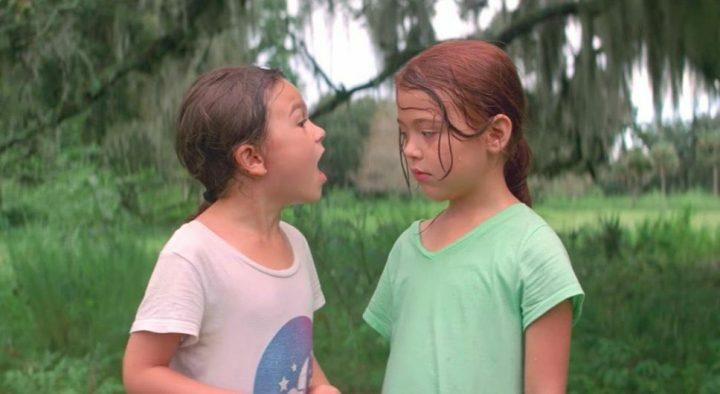 Smart-mouthed kids and their indifferent mothers are the order of the day in The Florida Project, a slice of Americana folks rarely see and one that’s a sobering insight into an often forgotten underclass of the country’s population. Set in a run-down apartment block in Florida, not too far from the enormous Disney theme parks, the film subverts the American Dream and turns it into a concrete jungle nightmare for the viewer. 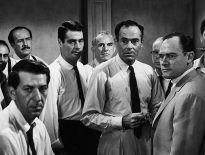 I had issues with this film, largely from its unstructured narrative and multiplicity of unlikeable characters – characters without overall arcs, sadly – and despite some beautiful moments and a sweet-natured visual style, I just couldn’t get into it. 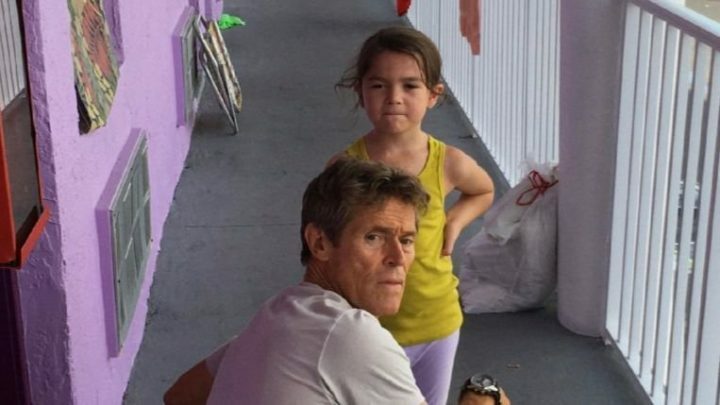 On the fringes of Orlando, Florida, young Moonee (Brooklynn Prince) and her mother Halley (Instagram star Bria Vinaite) live in a run-down apartment block managed by Bobby (Willem Dafoe). Moonee has a smart mouth, bred by her insolent, unemployable mother and Bobby has become almost a defacto father-figure in the young girl’s life. They meet Jancey (Valeria Cotto) and her grandmother (Sandy Kane), and they become friends. The kids in the apartment while away the days scrounging for food from the local waffle house, the nearby ice-cream stall, and playing pranks on Bobby, such as turning off the building’s power and teasing the local residents for their peculiarities. After the children inadvertently set fire to a nearby abandoned building, Halley’s friend Ashley (Mela Murder) cuts off contact with them and her son Scooty (Christopher Rivera), sending Moonee’s life into a spiral of destruction. I’m not sure what kind of audience will enjoy The Florida Project. I know it isn’t me, but then again not every film is made for my particular enjoyment. On the surface it’s interesting enough I guess, thanks mainly to Willem Dafoe’s garrulous Bobby and Brooklynn Prince’s impertinent Moonee as charismatic leading roles, but my aggravation with the film’s persistent sense of malaise, of consequence-free actions and soft-focused glorification of these kinds of people didn’t so much enlighten me as much as it just annoyed me. Yeah, The Florida Project annoyed me. For the most part, things bubble along nicely, with Moonee’s explorations of her surroundings and the people within it making for amusing, often awkward viewing. Her situation, with Halley’s recidivism and lack of moral structure – and obvious less-than-satisfactory parenting style – is cringe-worthy and at times hard to watch, not for any expository examination but simply for its uncomfortable nature. Bria Vinaite, an amateur actress and apparent Instagram starlet who was spotted on the social media platform by director Sean Baker, makes for a foul-mouthed and abusive mother, not that Vinaite is much of an actress. Prince skips wonderfully into the role of Moonee and is largely an infectiously enthusiastic performer, despite her bratty behaviour and resolutely unpunished arc. There’s little story to speak of other than Halley’s slow descent into personal disaster thanks to her obnoxious attitude, which marks the film as an indictment not so much on people who breed these kinds of behaviours but a society that does little to correct it. The relationship between Halley and Ashley is really only hinted at through Moonee’s perspective, only really coming into frame once the kids set fire to an old house and Ashley realises Moonee and Halley are bad news. The film struggled to really connect the paternal relationship between Moonee and Bobby strongly enough for me, and I felt indifferent to its lure. Dafoe appears to enjoy himself, while Caleb Landry Jones (American Made) flits in and around without really doing a heck of a lot. 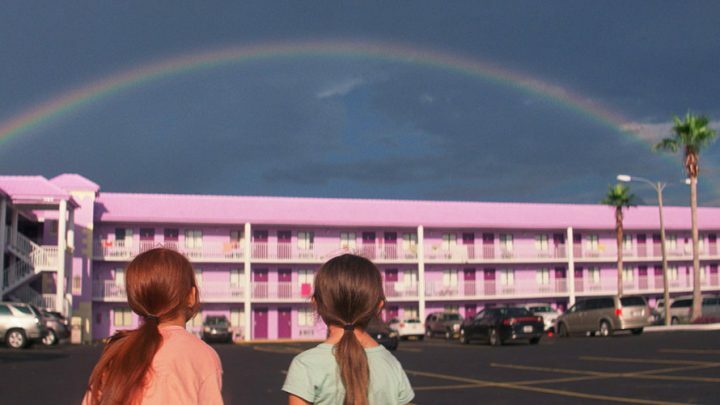 As dismal as The Florida Project’s disparate residents are, there’s a sense of depressive resignation here I couldn’t shake to find enjoyment here. Melancholy, sad, difficult to penetrate as a film of quality I liked, The Florida Project might have found an audience that appreciated it elsewhere, but I just couldn’t get into it. There’s no redemption, no catharsis or resolution of conflict to follow; maybe that’s the verite way, but I just felt like a film lacking in impetus and motivation. And, if I’m honest, dull. © 2018 – 2017, Rodney Twelftree. All rights reserved.